Uyghurlarning herbiy qoral – yaraq, meshq we herbiy teshkiliy tüzümi hun we türklerningkige asasen oxshash idi. Uyghurlar urush qilish usuli jehette ularning bezi artuqchiliqlirini qobul qilghan asasta, özige xas bolghan bezi urush qilish usullirini yaratqan idi. Uyghurlar jengde asasliqi atliq qoshun ishletkenliki we atliq qoshunning jengdiki muhim rolini tonup yetkenliki üchün, urushta aldi bilen düshmenning atliq qoshunlirini toluq yoqitishqa tirishatti. Bizning bu sözimizge bilge qaghanning « birinchi küni tabghachning 17 ming atliq eskirini yoqattim, ikkinchi küni piyade eskerlirini pütünley yoqattim »① dégen sözliri delil bolalaydu. Atliq qoshun heriketchan we jenggiwar bolghachqa, ular atliq qoshunning yuqiriqi artuqchiliqidin ünümlük paydilan’ghan. Ular jeng qilghanda, kichik etretlerge bölünüp, düshmen qoshunlirigha ushtumtut hujum qilip, düshmen qoshunlirini sarasimige séliwétetti we arqidinla chong qoshun basturup kélip, düshmen qoshunini qoghlap yoqitatti. Bu, eyni waqitta déhqanchiliq milletlirining urush bashlinishtin awal her xil urush seplirini tüzüp, urush sépigha tayinip urush qilish usuligha qarighanda nahayiti zor ilgharliq hésablinatti. Buningda, atliq qoshunning sür’ettiki ewzellikidin paydilinip, , düshmen qoshuni sep tüzüp bolghiche ularning sépini buzuwétip, ularni yoqitish meqsitige yétiletti, atliq qoshunning sür’itining yuqiriliqi, herketchanliqidin paydilinip téz ilgirilep, düshmenning kütmigen yéridin chiqip ulargha tuyuqsiz zerbe arqiliq düshmenni yoqitish, ularning yene bir taktikisi idi. Mesilen: miladiye 151- yili qirghizlarning qarluq qatarliq qebililer bilen birliship uyghurlargha hujum qilmaqchi bolghanliqidin xewer tapqan bayanchur qaghan tézlikte teyyarliq qilip, értish deryasidin sal sélip tuydurmay ötüp, qirghizlarning ittipaqdashliri téxi yétip kelmigen pursettin paydilinip, uninggha tuyuqsiz hujum qilghanliqi we bu jengde ghelibe qilghanliqi “ menggü tash » larda xatirilen’gen. Menggü tashlardiki « aldin yürer qisimlirimni ewettim …. Atliq paylaqchilarni méning yigitlirim yéngip < تىل > qilip tutuptu »② dégen xatirilerdin, uyghur qoshunliri jengge atlinishtin burun, qaghan da’im dégüdek chaqqan ayghaqchilarni we aldin yürer qisimlarni ewetish arqiliq düshmen ehwalini razwédka qilip düshmen ehwalini igilep, düshmen’ge qarshi turush pilanini aldin tüziwalidighanliqini körüwalghili bolidu. Ular yene jeng waqtida küchlük düshmen’ge yoluqqanda, uning aylinip ötüp arqa yaki yan tereptin chiqip zerbe bérish taktikisinimu igiligen idi. Mesilen uyghurlarning tang sulalisigha yardem bérip « önglük – söygün topilingi »ni tinjitqanda, del mushu taktikidin paydilan’ghan we topilangchilarni chékindürüp, tang sulalisining öz zéminini qayturuwélishigha ghayet zor töhpe qoshqan. 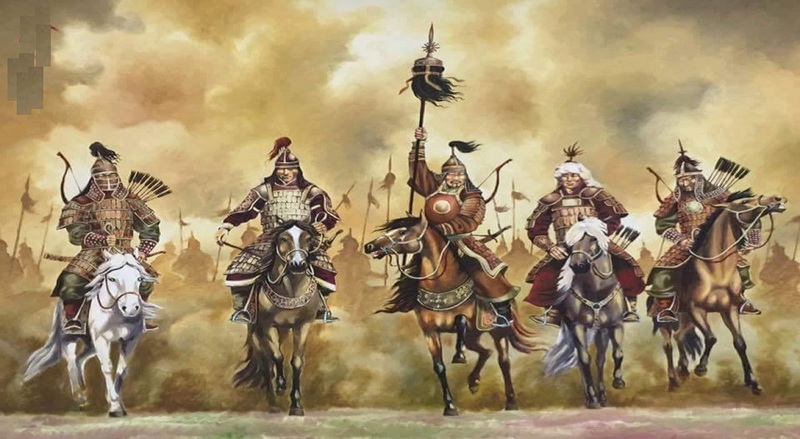 Bu qétimqi urush heqqide « elni idare qilish örnekliri »ning 220- jildida « go ziyi serdarliqidiki qoshun shindyende banditlar bilen uchrashqanda, banditlar tagh baghrida sep tüzgen idi, go ziyi deslepki hujumda ongushsizliqqa uchridi. Banditlar taghdin chüshüp hujumgha ötti, uyghurlar taghning jenubidin banditlarning arqa teripige hujum qilip, jahanni chang – tozan qaplap ketken ehwal astida, banditlargha qaritip on nechche tal oqya atqandin kéyin, banditlar wehimige chüshüp < ئۇيغۇرلار كەلدى > dep chuqan séliship, tére – piren bolup ketti, padishahliq qoshun bilen uyghur qoshuni banditlarni iskenjige élip, ularni éghir meghlubiyetke uchratti. Düshmen jesetliri pütün dalani qaplap ketti »③ déyilgen bolsa, « yéngi tangname » 217- jild « uyghurlar heqqide qisse »de: « shangji jéngide padishah qoshunliri sep tartqanda, banditlar padishah qoshunining sol teripige atliq qoshun yoshurup qoyup tuyuqsiz hujum qozghimaqchi boldi. Bökü qeyin uyghur aqsöngeklirini bashlap hujumgha ötüp, yoshurunup yatqan banditlarni toluq tarmar qilip, banditlarning arqa teripige ötti, andin jingshi, béyting satrapi li siyé bilen düshmen’ge ikki tereptin hujum qozghap, banditlarni meghlup qildi we chang’enni qayturuwaldi »④ dep xatirilinip uyghurlarning bu taktikisi heqqide tepsili melumat bérilgen. Uyghur qoshunliri düshmenni yenggendin kéyin düshmenlerge özini ongshiwélish pursiti bermeslik üchün, ulargha dawamliq qoghlap zerbe béretti. Yeni yuqiriqi yardem urushliridimu uyghur qoshunliri shi chawyini yenggendin kéyin, uni taki xébéyghiche qoghlap bérip uni tutup öltürgendin kéyin andin toxtighan. Orxun uyghur xanliqining asaschisi bolghan pusadmu türklerni meghlup qilghanda mushu xil qoghlash taktikisini qollan’ghan idi. Kéchide hujum qilish charwichi milletlerning shundaqla uyghurlarning öz düshmenlirige zerbe bérishtiki yene bir xil taktikisi idi. Chünki düshmen’ge kéchisi hujum qilghanda, düshmen qoshunliri basturup kelgüchilerning éniq sanini bilmigenliki üchün, sarasimige chüshüp qélip urush qilish iqtidarini yoqitip qoyatti. Uyghur qoshunliri atliq qoshunning sür’ettiki ewzellikige tayinip düshmen teyyarliqsiz turghan pursettin paydilinip, tuyuqsiz qilidighanliqi üchün, ularning kéchilik hujumi köpinche düshmenning meghlubiyiti bilen axirlishatti. Miladiye 764- yili uyghur qoshunliri tang sulalisi qoshunlirigha yardemliship, hazirqi gensu ölkisi tewesidiki lintey dégen yerde tübütlerge qarshi jeng qilghanda mushu taktikini qollinip zor ghelibige érishken⑤ . Ottura esirde qoshunlarning yürüsh qilishi we urush qilish waqti kilimatning tesirige bekrek uchraytti, charwichi milletler asasliqi atliq qoshun ishletkechke, charwichiliq ishlirining pesil xaraktérige asasen, kilimatning tesirige téximu bek uchraytti. Uyghurlar yashighan mongghul dalasining iqlimi qurghaq hem qishliqi soghuq idi. Shundaqla atlar yaz peslide yaylaqta obdan béqilghachqa, küz peslide rasa semrip küchke tolatti, shunga uyghurlarmu hun, türk qatarliq charwichi milletlerge oxshash küz we qish peslini urush qilish waqti qilip tallaytti. Shunga uyghurlarmu küz we qish peslide jengge chiqip, etiyaz kélishi bilen jengni toxtitatti. Trump, A Deal Maker Or Diplomacy Student? Tahir Imin studied in Xinjiang University In Xinjiang, China and worked as a teacher, researcher, and social worker. He haspublished two books about social topics and wrote many articles in Uighur websites. Now he is a student at Haifa University, Israel. These past two days, I witnessed a historical moment: Arab/Islamic-US summit as well as the meeting of US president Donald Trump with Israeli and Palestinian leaders here in Israel. As for his position and personality, President Trump wants to be a great dealmaker and make a history by cutting through the difficulties which defeated others. During his campaign, he promised to move the US embassy to Jerusalem. But he avoided this topic in his two-day visit the Holy land. According to sources, Israel and the Palestinians have not held direct talks for more than three years. 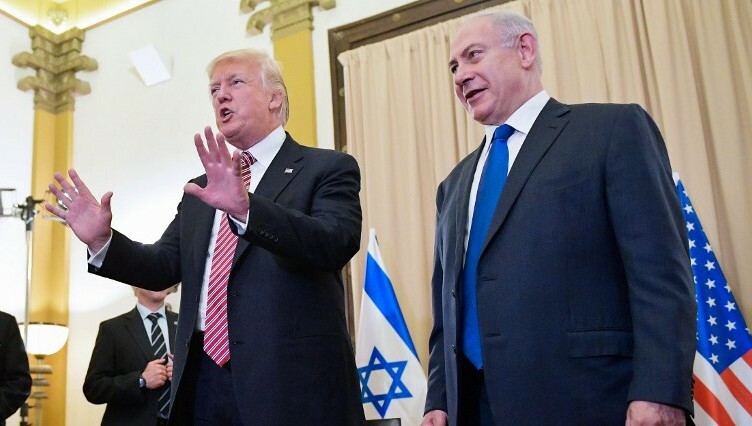 On Monday, Mr. Trump stressed the strong bonds between the US and Israel while Israel prime minister continuously and emotionally expressed his gratitude for the US’s support of Israel and the unshakeable bonds between the peoples and governments of two sides. As the world watched every detail of the Trump’s first overseas and middle east trip, he speaks so cautiously about sensitive and main issues as the two-state solution and tried to unite all parts of Arab-Islam sphere and the middle east to focus on Terrorism, a comfortable and safe topic for the interests of all sides. The critical and main issues have not been addressed in the meetings which Israelis and Palestinians are way apart on the property ownership of East Jerusalem, the fate of Palestinian refugees and the borders of an independent Palestine. One of the main issues laid out is The two sets of leaders also do not trust each other meanwhile there is not balance between the tow sides As Israel prime minister Benjamin Netanyahu enjoys the domestic support and international admire ,his Palestinian counterpart Mahmoud Abbas facing most big challenges from his domestic rival ,Hamas which Donald trump described as Terror group. In the eyes of some Palestinians, he lost his legitimacy of representing for the people as they are deeply divided, with Fatah in charge in the West Bank and In Gaza the Islamists of Hamas, who have been labeled by Trump in his recent speeches as terrorists. While many observers are skeptical about whether the US can be a fair broker, Trump’s visit overwhelmingly tends to Israel, spending more time with Israel leaders and giving promises to stand with Israelis. Ahmad, a muslin driver in Jerusalem said that: we need the US support more than Israel because if the situation continues, Israel has nothing to lose .but we lose everything: land, people, and patience. Without specific plan or achievement, Trump takes it as an opportunity to learn the middle east issues and watch more exactly and understand it deeply. The world tired of the middle east crisis which has been shadowing the other humanitarian crisis in different parts of the world which wait in line after middle east, with as much important as the rights of the people here. Without one voice united, the Palestinians could not be ready to negotiate with Israel. Trump needs some time to learn the bottom of the situation and history of the problem and listen to his advisors as well as the leaders and peoples of two sides. It’s not the issue of one powerful leader or a strong country! All the voices should matter! The Author is an Uighur student from China at Haifa University. Qutsal Aile, Qutsal Ot we Qutsal Kélichek! Ejdatlirimiz tarixta nime ish qilghan bolsa Ata-bowiliri yaqqan chiraqning we mora ochaqining otini öchürüp qoymasliq üchün qildi. Tariximiz egiri toqay we boran-chapqunluq bolup, bezide eqil-paraset we küch-qudritimizning xasiyiti bilen dunyani titretken bolsaq, bezide xuddi bugünkidek düshmenning iplas ayaqliri astida köz-yashqa tolghan dewirlerni bashtin kechürduq. Béshimizgha qandaq qara künlerning kélishidin qettiynezer, dayim ümit we ishench bilen yashap kelduq. Eger biz bésip ötken bu yolda bir hikmet bar bolghan bolsa, u hikmet milliy xaraktérimizni yorutup turghan ejdatlar yaqqan ene eshu qutsal ottur! Her bir ailidiki ata we babalirimizdin miras qalghan ene eshu qutsal otni öchürüp qoymasliqtinmu muqeddes bir ish bar dise zinhar ishenmeymiz! Millitimiz bu qutsal otni peqet öchürüp qoymasliq üchün pem-parasetlik, semimiy-sadiq we ehdi-wapakar er- xotunlargha ihtiyajliq! Aile muqeddes otning makanidur, kichiklitilgen wetendur! Millitimiz saqlap kelgen 10,000 yilliq muqeddes otni ata-anilirimzning qolidiki, ejatliridin miras qalghan sepi uzun hem otqa chidamliq xisletlik laxshiger qoghdap kelgen. Her ailide ene eshu ata miras we xisletlik bir laxshiger bar. Aile bizge paydiliq möjizilerning buliqidur! Ailimizdiki eshu xasiyetlik laxshigirni izdep tépip, ailining, jemiyetning we wetenning aman-isenliki we bixeterliki üchün eshu menggülük qutsal otni perwish qilishni unutmayli! Xeyirlik öy, xeyirlik ot, xeyirlik er, xeyirlik xotun, xeyirlik perzent we xeyirlik kélichek barchenglargha yar bolsun! Milletchilik we wetenperwerlik insanning tughma tebiyitidin kelgen.Herqandaq bir dewlet, melum bir hökmaran milletning hür iradisi teripidin qurulghan. Herqandaq bir dewlet, bir dewlette bolushqa tégishlik adalettin mehrum bolghan bolsa, shühbesizki hakimiyet üstidiki milletning milletchilik we wetenperwerlik iddiyside mesele körülgenlikidin bolidu. Beziler Milletchilikni wetenperwerliktin ayrip qaraydu, bu xata. Hükmaran milletlerning kéngeymichilikini, téximu toghrisi tajawuzchiliq herkitini milletchilik dep xata chüshendürüshke bolmighinidek, mustemlike astidiki xeliqlerning milliy qarshiliq körsütüsh herkitinimu heqqaniyetke qarshi katégoriyesige kirgüzüshke bolmaydu. Emeliyette küchlük milletlerning kéngeymichiliki milletchilk emes dewlet térori bolghanidek, milliy zulum astidiki xeliqlerning meyli qaysi shekilde bolmisun élip barghan azatliq herketliri heqqaniy küresh bolup, eriqchiliq yaki birtereplime halda hergiz téror hésaplanmaydu. Arimizdiki bezi kishiler bezide dinni bezide eksiyetchi peylasoplarning éyitqanlirini bazargha sélip, milletchilikni qandaqtur binormal nezeriyeler bilen xunukleshtürüp chüshendürüp,bizge tuydurmay milliy éngimizdiki milletchilik/dewletchilik iddiysini zeherlewatidu.Ular xitayning kengeymichilik herkitini milletchilik dep burmilap, xelqimizge milletchilikni xuddi wabadek qorqunchluq shekilde körsütüshke orunmaqta. Bizningche Xitayning tajawuzchiliqi miletchilik emes, kengeymichiliktur. Uyghur xelqining weten qutquzush herkiti heqqaniy heriket bolup keskinlik bilen téror emes eksiche milletchiliktur. Xitayning Uyghuristanliqlargha qarita düshmenliki bizning milliy inqilap qoshunimizni berpa qilishimizning pütmes buliqi we milletchilik iddiymizge asas salidighan tunji mektep…wetinimiz Sherqitürkistan/Uyghuristanda tajawuzchilar bilen millitimiz ottursidiki ziddiyet alla burun xitay hökümiti hel qilalmaydighan basquchqa kirip boldi. Düshmen bolsa millitimiizning istixiyilik shekilde élip bériwatqan qarshiliq körsütüsh herketlirini, hür dunyadiki siyasiy herkitimizni melum derijide konturul qilghandek özi sizghan siziqqa chüshürelmey qattiq sarasimge chüshüp qaldi… Bu hadisini chüshenmigenler xitaygha aq bayraq kötürüp chiqishiwatidu, milletchi qiyapitige kiriwélip xitay bilen muresseleshmekchi boliwatidu…Ular alla-towa kötürüp, “xitaylar küchüyüp ketti, tuxumni tashqa urghanning paydisi yoq”, “xitaylar yashlirimizni bek qiriwetti, siyasiy qilmay medeniyet bilen meshghul bolayli”, “Tilimizni qoghdap qalsaq kéyin bir gep bolidu”, “Hazir weten bek yaxshi bolup ketti, bu yerde néme ish qilisiler”, “Bizning dewlitimiz we bayriqimiz bolup baqmighan”, “Biz xitay, xitaydin kelduq”, Uyghuristan yaki Sherqiy Türkistan emes Xinjiang, xitay emes xenzu, xitay dewliti emes zhunggo”, “Bir millet qet kötürimen deydiken awal ilim-pende qeddini tiklishi kerek”…déyiship düshmenning nénigha qaymaq sürtiwatidu.Ular saqal-burutni qoyushup, doppa bilen etlesni kiyiwelip, hür dunyada yashap turup, nomus qilmay siyasiy teshkilatlirimizni yétim qaldurushqa orunmaqta. Ular siysiy herket qilmisa xitay itnik we kultural qirghinni toxtutidighandek, milliy kimlikimizni qoghdaydighandek tetenpete xiyallarda bolmaqta…Ular wetini we dewliti yoq milletning milliy kimlikini qoghdap qalalmaydighanliqini, ilim-pende hem qed kötürelmey üzik-késil halak bolidighanliqini bilmemdikine? !Ular siyasiy teqdirimizge köngül bölmestin herqanche milletchi we wetenperwer qiyapetke kiriwélip men uyghur dep warqirisimu, bizning nezirimde xitaydin better we xeterliktur! Gheripning milletchilik uqumini Uyghuristangha, Xitaylarning wetenperwerlik uqumini Uyghuristan xelqige qarisigha tedbiqlashqa bolmaydu…itnik, siysiy, iqtisadiy milletlerning milliy inqilawimizgha bolghan wastiliq we biwaste munasiwetlirini chongqurlap tetqiq qilmay turup, herqandaq import qilinghan idiologiye bilen weten/milletning azatliqi üchün élip bériliwatqan siyasiy küreshlerimiz ghelbe qilalmaydu…! Milletsiz weten, wetensiz millet bolmighinidek, wetensiz dewletmu bolmaydu…Milletchilik/Dewletchilik bilen wetenperwerlik biri yene birini aldinqi shert qilghan sobyektip barliq bolup, hergizmu biri-birini chetke qaqmaydu hem ayrilalmaydu. Uyghurlarning milliy herkiti-wetenperwerlik-heqqaniy herket bolup, u ishghal astidiki dewletni yeni tehdit astidiki milletni qutuldurushni yüksek ghaye qilghan milletchiliktur! Bu yazıda, İskitlerle ilgili gelen son araştırma verilerinden yararlanarak, İskitlerin Otozomal genetik yapısını günümüzdeki bazı halklarla karşılaştıracağız. Bu yazımıza temel teşkil eden ‘’Ancestry and demography and descendants of Iron Age nomads of the Eurasian Steppe’’ başlığıyla yayımlanan ve ayrıntılarını ‘’Unterländer, M. et al. Ancestry and demography and descendants of Iron Age nomads of the Eurasian Steppe. Nat. Commun. 8, 14615 doi: 10.1038/ncomms14615 (2017).http://www.nature.com/articles/ncomms14615’’ bağlantısında bulabileceğiniz çalışmadır. Yazımızda inceleyeceğimiz Doğu İskitlerinden biri Aldy-Bel Kurganından (Arzhan2) olup, M.Ö. 6-7’nci yüzyıllara tarihlendirilmektedir. Diğeri ise Pazırık Kurganından (Berel11) olup, M.Ö. 3-4’ncü yüzyıllara tarihlendirilmektedir. Aldy-Bel Kurganından (Arzhan2) elde edilen İskit örneği M.Ö. 6-7’nci yüzyıllara tarihlendirilmektedir. Bu İskit örneğinin otozomal yapısı incelendiğinde, otozomal yapısının en çok Başkurtlara sonra da İdil Tatarlarına benzediği görülmektedir. Batılıların İskitlerin İrani olduğuna dair tezlerinin aksine Aldy-Bel örneği günümüz İrani kavimlerinden hiçbirine otozomal yapısıyla benzememektedir. Ayrıca bu örneğin elde edildiği Aldy-Bel Kültürüyle bağdaştırılan Arzhan 2 Kurganı gerek mezar biçimi olarak gerek içinden çıkarılan materyaller açısından Pazırık buluntularına benzemektedir. Bu benzerlikler kimi Avrupalı araştırmacılar tarafından İskit adı verilen insanların farklı bölgelerde, farklı zamanlarda yaşamış fakat ortak kültüre sahip çeşitli boylardan oluşan bir topluluk olduğu şeklinde yorumlanmıştır. İskitlerin kurganlarından elde edilen materyallere, kültürel buluntulara, genetik bulgular da eklenince Doğu İskitlerinin Ön-Türklerden bir topluluk olduğu ihtimali oldukça güçlenmiş gözükmektedir. Bunun dışında Aldy-Bel Kurganından(Arzhan2) çok sayıda mtDNA ve bir Y-DNA sonucu elde edilmiştir.Y-DNA sonucu ,araştırma makalesinde R1a-S441 olarak verilmiştir.Ama sonrasında bazı araştırmacılar bağlantıda verilen genetik dizilimleri inceleyerek daha ayrıntılı bir incelemede bulunmuş,makalede verilen SNP’nin alt dalını R1a-S441(Z645)>Z93>Z94>Z2125>YP1456 olarak belirlemişlerdir.Bu alt dal günümüzde Kırgızlarda ve Altaylılarda tespit edilmiştir. Ayrıca bu iskeletin mtDNA haplogrubunun da ‘A’ olduğu belirlenmiştir. Şekil 4’te görüldüğü gibi İskitlerde çok sayıda mtDNA haplogrubu tespit edilmiştir.İleride paylaşacağımız bir yazıda bu mtDNA haplogrupları ile ilgili daha ayrıntılı bilgi vereceğiz. Aldy-Bel örneğini günümüz halklarıyla, Gedmatch MDLP K23b hesaplayıcısını kullanarak karşılaştıralım. Karşılaştırmada özellikle Türk Dilleri ve Moğolca, İrani Diller, Kafkasya Dilleri, Ural dilleri ve Slav dilleri konuşan halkları kullanacağız. Bunun sebebi, geçmişte ve günümüzde araştırmacıların İskitlerin konuştuğu dili, bu dil aileleri ve onları konuşan kavimlerle bağdaştırmasıdır. Yukarıdaki grafiği incelersek Aldy-Bel örneği otozomal yapı bakımından Başkurtlara oldukça yakındır.Başkurtlardan sonra ise Tatarlara,Çuvaşlara ve Udmurtlara benzemektedir. İranilerden en çok benzediği ise Tacikistan Tacikleridir.Fakat Tacikistan Tacikleri diğer Taciklere nazaran Orta Asya Türkmenlerine ve Özbeklere benzemektedir.Tarihi olarakta bu bölge Türklerden oldukça etkilenmiştir.Ayrıca Tacikistan Taciklerinin ve Orta Asya’daki diğer halkların mongoloid özelliklerinin artmasında Moğol istilalarının büyük payı vardır.Sizlerinde grafikte görebileceğiniz gibi Aldy-Bel İskit örneğinin İranlılarla pek benzerliği yoktur.Bunun dışında Aldy-Bel İskit örneğinin Kafkasyalılar,Slavlar ve Moğollarla da pek benzerliğinin olmadığını söyleyebiliriz.Görüldüğü gibi Aldy-Bel İskit örneği özellikle günümüz halklarından Türk Dil Ailesinin Kıpçak grubunun Kıpçak-Bulgar kolundan olan Başkurtlara ve sonrasında da Tatarlara benzemektedir.Ayrıca aradan geçen yaklaşık 2700 yıla rağmen yakın coğrafyalarda benzer genetik yapıda Türk halklarının yaşaması bazı Batı kaynaklı iddiaların aksine Türklerin bu coğrafyaların yerlisi olduğunu göstermektedir. Pazırık Kurganından(Berel11) elde edilen İskit örneği M.Ö. 3-4’üncü yüzyıllara tarihlendirilmektedir. Bu İskit örneğinin otozomal yapısı incelendiğinde en çok Şorlara, Hakaslara, Sibirya Tatarlarına ve Altay Türklerine benzediği görülmektedir. Bu da aynı şekilde Batılıların, İskitlerin İrani olduğu, Pazırık Kurganlarının Hint-Avrupa mirası olduğu, Türklerin bu bölgelere daha sonradan doğudan geldiği gibi dayanaksız iddialarının geçersiz olduğunu kanıtlıyor. Pazırık Kurganından elde edilen arkeolojik buluntulara genetik veriler eklenince Pazırık Kurganının Ön-Türklere mensup kişilerce inşa edildiği ihtimali oldukça güçlenmiştir. Aynı şekilde bu çalışmada Pazırık Kurganlarından çok sayıda mtDNA ve bir Y-DNA örneği elde edilmiştir.Otozomal örneğinin elde edildiği Berel11’in Y-DNA’sı R1a-Z93’ün alt dallarından ve mtDNA’sı C4a1 olarak tespit edilmiştir.İleride paylaşacağımız yazımızda Pazırık Kurganlarında tespit edilen mtDNA ve Y-DNA haplogruplarına dair daha ayrıntılı bilgiler vereceğiz. Pazırık örneğini MDLP K23b hesaplayıcısından yararlanarak günümüz halklarıyla karşılaştıralım.Karşılaştırmada Aldy-Bel örneğinde olduğu gibi Türk Dilleri, Moğolca, İrani Diller, Kafkas Dilleri, Ural dilleri ve Slav dilleri konuşan halkları kullanacağız. Yukarıdaki Pazırık İskit örneği otozomal yapı bakımından Hakaslara,Sibirya Tatarlarına,Kazaklara ve Altay dağları civarında yaşayan Türklere oldukça benzemektedir.Yine yukarıdaki grafikte görüldüğü gibi Pazırık İskit örneğinin otozomal yapısı Moğollara,İranlılara,Slavlara,Kafkasyalılara ve Ural halklarına benzememektedir.Pazırık kurganlarından elde edilen İskit örneklerinde mongoloid oranlarının diğer kurganlardaki İskit örneklerine nazaran fazla olması ve tarih olarakta daha geç döneme denk gelmesi buradaki İskitlerin doğudan gelen bir göçe maruz kaldığının veya Doğu Asya’ya yapılan seferlerde bu bölgelerdeki halklarla evlilikler gerçekleştirdiğinin göstergesi olabilir.M.Ö. 3-4 yüzyıllara tarihlendirilen bu İskit örneğinin genetik yapısının yaklaşık 2400 yıl sonra aynı coğrafyada yaşayan Türk halklarına benzemesi,bazı Batı kaynaklı iddiaların aksine Türklerin bu coğrafyalara Milattan Sonra geldiği ve bu bölgedeki halkları Türkleştirdiği gibi dayanaksız iddiaları çürütmektedir. Genetik verilerin yanına İskit Kurganlardan elde edilen materyaller ve kültürel veriler, Yunanlıların, Asurluların ,Perslerin ve diğer medeniyetlerin kaynaklarında İskitler hakkında yazılanlar, günümüz Türk destanlarıyla İskitlerin yaşadıklarının uyuşması (Alper Tunga ve Efrasiyab v.b.) ayrıca çeşitli kaynaklardan öğrenilen İskit dilinden kelimeler ve isimler eklendiğinde İskitlerin bir Ön-Türk kavmi olduğunu rahatlıkla söyleyebiliriz. Yalnız burada yanlış anlaşılmaması gereken İskitlerin mongoloidlik oranlarının onların Türklerle bağını tek başına belirlemediğidir. Yukarıda bahsettiğimiz tüm durumların ele alınması sonucu Türklerle olan bağını söyleyebiliriz. Kaldı ki İskitlerin mongoloidlik oranları da farklılık göstermektedir. Çünkü birbirlerine benzer yapılarda olan ve aynı veya benzer kültürlü halkların inşa ettiği belirlenen Batı Avrasya’dan Doğu Avrasya’ya uzanan bu İskit Kurganlarından çıkarılan İskit örneklerinin kimi %10 hatta daha da düşük, kimi %25,%30,%50 ve %60 civarlarında mongoloid orana sahiptirler. Bu yönden de günümüz Türk haklarına benzemektedirler. Çünkü günümüz Türk halklarında da mongoloid oran Doğuya gittikçe artmakta ve %70 üzerine kadar çıkmakta ve batıya doğru gittikçe azalmakta ve Gagavuzlar gibi kimi Türki halklarda %2 civarına kadar düşmektedir. Ayrıca yazımızda ele aldığımız Aldy-Bel ve Pazırık İskit örnekleri de farklı mongoloid oranlara sahiptir. Bu çeşitliliğin sebebi ise savaşçı göçebe halkların gittikleri yerlerde yerel halk ile evlilikler gerçekleştirmesi ve yerel halklarla kaynaşmasıdır. Bizim görüşümüze göre Türklerde mongoloid oranın artması Doğu Asya’dan gelen göçlerle, Türk halklarının bunlarla kaynaşması ve Doğu Asya’ya yaptığı seferlerde o bölgelerdeki insanlarla evlilik gerçekleştirmiş olmalarından kaynaklanmaktadır. Bu yüzden İskitlerdeki sadece mongoloid veya herhangi bir diğer komponente bakarak Türklüklerine karar vermekte tek başına doğru olmaz. Yalnız yukarıda bahsettiğimiz gibi diğer tüm veriler, coğrafya v.b. etkenlerle birlikte genetik de işin içine girince İskitlerin Ön-Türk kavmi olduğu kanıtlanmış gibi gözüküyor. 1931-yili etiyazda qomul déhqanlirining zulumgha qarshi keng-kölemlik qozghilingi qomuldiki 12 taghning biri shopuldin bashlan’ghanliqi, qozghilangni bashlighan kishi shopulning shu waqittiki dorghisi sali memetniyaz ikenliki oqurmenlerge melum. «qomul nahiyesi tezkirisi», «qomul wilayiti tezkirisi» qatarliq qamus xaraktérlik eserlerde we bashqa metbu’atlarda: «sali dorghining qizini mejburiy xotunluqqa almaqchi bolghan qarawulxana emeldari jang goxu (张国琥) shopulda sali dorgha bashchiliqidiki qozghilangchilar teripidin öltürülgen», «jang goxu qéchip ketken» dégendek oxshimighan melumatlar bérilgechke, bu toghrisida qomul wilayetlik ottura xelq sot mehkisining piénsiyonéri xoja sali aka bilen ikkimiz «qomul shehrining tarix matériyalliri»ning 10-qismida «1931-yilidiki qomul déhqanlar qozghilingining biwaste sewebchisi jang goxuning teqdiri heqqide tekshürüsh» namliq maqale élan qildurup, jang goxuning shopulda sali dorgha bashliqidiki qozghilangchilar teripidin öltürülgenlikini delilligeniduq. Biraq 1931-yili etiyazda shopul qozghilingi partlash harpisida sali dorgha qozghilang kötürüsh üchün qarawulxana emeldari jang goxugha yalghandin qizini bermekchi bolup, toy murasi ötküzüp bergenmu-yoq? Jang goxuni kim öltürgen? Dégen ikki mesile hel bolmay keynige qaldurulghanidi. «qomul nahiyesi tezkirisi»ning 692-bétide jang goxuni «… Ayalche yasiniwalghan yigit qochaqliwalghan…», «qomul shehirining tarix matérilliri» (1-qisim) ning 32-bétide «…qiz hujrisida aldin chirayliq qiz siyaqida yasinip olturghan imin isimlik yigit jang goxu hojrigha kirishi bilen pursetni ghenimet bilip uni quchaqlap öltüridu…»; «qomul géziti»ning 1993-yili 12-ayning 21-künidiki sanida «…bu chaghda men alliqachan yushurun’ghan bolup, öyde méning izimgha küchlük bir yigit niqablinip jang lyenjangni kütüp olturdi. Bu chaghda qarawulxana emeldari xushalliqidin qin-qinigha patmay öyge kirgende, yalghan kélin uning bélidin tutup yerge bésiwalidu. Yoshurun’ghan kishiler otturigha chiqidu. Mest bolghan eskerler özini qoghdashqimu ülgürrelmey tutulup, shu küni hemmisi öltürülidu…»; «ürümchi tarix matériyalliri»ning 68-bétide «… Kechqurun jang goxu hojrisigha bashlinidu. Jang goxu hojrigha kirishi bilenla qizche yasiniwalghan yigit (imin isma’il) ning üstige özini atidu. Imin jang goxuni quchaqlap alghan péti jayidila ujuqturidu…» dep melumat yérilgen. Undaqta jang goxuni öltürgen «erkek», «imin isimlik yigit», «küchlük bir yigit», «kélin siyaqida yasiniwalghan er», «qizche yasiniwalghan yigit (imin isma’il)» dégenler kim? Bu kishi del jang goxu mejburiy xutunluqqa almaqchi bolghan sali dorghining qizi aysixan sali ning kéyinki künlerdiki ömürlük halal jüpti shah niyaz shérip tin ibaret. Men uzundin buyan mushu mesile üstide izdinip kéliwatqanidim. 2000-yili 9-ayning 16-küni (düshenbe) qomul wilayetlik til-yéziq, qedimki eserler ishxanisining mudiri zöhre talip manga téléfun bérip: «ablimit aka, yéqinda ürümchidiki seydulla seypullayof tin téléfun keldi, u ‹1931-yili etiyazdiki shopul qozghilingi partlashtin ilgiri sali dorgha qozghilang kötürüsh üchün qarawulxana emeldari jang goxugha yalghandin qizini bérishke maqul bolup, toy murasimi ötküzüp bergenmu? Mushu meselini éniqlap baqqan bolsingizlar› dégen teklipni berdi. Bügün waqitliri bolsa birlikte shopulgha chiqip kelgen bolsaq» dédi. Shu küni «qomul géziti» ning terjimani hawaxan éli (hazir qomulda pénsiyede), muherriri isaq peyzulla (zöhre talipning yoldishi) qatarliqlar mashiniliq xotuntamgha bérip, shu yerde olturushluq maysixan sali, shopulda olturushluq göherxan sali we uning yoldishi ibrahim kösöler bilen söhbetleshtuq. Maysixan ana jang goxu bashliq barliq ofitsér–eskerlerning neq meydanda öltürgenliki toghriliq melumat berdi. Biraq shopulgha barghinimizda göherxan sali bilen ibrahim kösö «shopulda qozghilang bolghanda bizning yéshimiz kichik bolghachqa waqittiki ishlardin xewirimiz yoq iken» dep sir bermidi. Biz bu ishni shu waqitta tashwéliqtin bizge hemrah bolup shupulgha barghan tashwéliq yéziliq partkomning mu’awin sékirtari, yéza bashliqi yüsüp himitke weqening jeryanini yenimu ichkirilep tekshürüp éniqlap béqishni hawale qilip qaytip kelgen iduq. Kéyin yüsüp himit manga: ibrahim kösö we göherxanlar bilen söhbetleshkenlikini, ular 1949-yilidin kéyin élip bérilghan bir qanche qétimliq siyasiy heriketlerde bek qorqup ketkechke rast gep qilishqa pétinalmighanliqini, emeliyette merhum abduréhim ötkürning tarixi romani ‹oyghan’ghan zémin› (1-qisim) diki bayanlarning hemmisi toghra ikenlikini éytti. Bu künlerde shopulluqlar arisida ghelite gep-sözler boluwatatti. Beziler: «nechche waqittin meydisige mushtlap, yoghan gep qilghan sali dorghining emdi sudin chiqqan müshükke oxshiship qalghinini qarimamdighan, muzayning yügürüshi samanliqqiche dégen shu boldi-de» dése; Yene beziler: «adem ölmes, közi toymas dep, mal dunya dégenning méhri shundaq yaman iken, bolmisa sali dorghining bu dunyada némisi kem» deytti. Beziler sali dorghigha hésdashliq qilip: «uningghimu ugal boldi, jang jisa dégen muttehem qizingni bersengmu bérisen, bermisengmu bérisen dep chérikliri bilen diweylep turuwalsa, u qandaq qilsun? Qizi bar ademning küni tes» dése, beziler: «shumu gep boldimu, mana sanga qiz dep, u mel’unning qarnini yériwétip, bolghuluqni körgen bolsa, jang jisadek chirkinler hushini tapqan bolatti. U chaghda dorghamning qebrisidimu güller ünüp chiqqan bolatti» deytti. Sali dorghining öyidikiler, jümlidin sopi mergen bilen menglik niyazlar bolsa, goya héch ish bolmighandek, toy teyyarliqi bilen meshghul idi. Biraq ete toy dégen kéchisidin bashlap, sali dorghining yéqinliri bilen menglik niyazgha oxshash yigitler uyan-buyan chépiship, barghan yerliridiki kishiler bilen pichirliship sözlishidighan bolup qaldi. Tang étishi bilen teng mal soyush, qazan ésish, chay qaynitish, yulghun téwilgha notiliridin zix teyyarlash, gürüch yuyush, sewze toghrash qatarliq ishlar qizip ketti. Etrap yurtlargha bérip, sodisini tügitip kelgen «qara chéchek» hoylining burjikide kigiz-borilar bilen tosup yasalghan waqitliq ashxanida töt-besh ayalni ishqa sélip, xilmu-xil seylerni teyyarlashqa kiriship ketti. Ömride bundaq seylerni yéyish turmaq puriqinimu purap baqmighan bu tagh ayallirining beziliri «qara chéchek» ning hüniridin heyran bolup hangwéqip qalatti. Shundaq chaghlarda «qara chéchek» pishane terlirini sürtüp «hey ayla, sen uxlap qaldimu? Chapsan bolsun» dep warqiraytti. Kün qayghuche jama’etning aldi-keyni uzap boldi. En’eniwi adetke xilap halda, bu toygha xotun-qizlardin köp kishi éytilmighanliqi üchün, sali dorgha kelgen-ketken jama’etke «aldirap qalduq, xuda xalisa, ete-ögün ayla qizimizgha bashqidin toy qilip bérimen» dep özre éytti. Künpétishqa yéqin, jang jisa yigirme ikki atliq chériki bilen qiz köchürüshke keldi. U bügün alahide yasinip kelgenidi. Amérikan ötüki bilen qolidiki appaq peliyi, parqirap turghan bel tasmisi tapancha qépi közge alahide tashlinip turatti. Öz reqibini yéngip, uning qolidin qimmetlik oljini tartiwalghan kishining chirayida qandaq memnuniyet ipadisi körülse, uning yadangghu chirayidimu shundaq bir xil körenglik ekis étip turatti. U bir qolini égiz kötürüp, chériklerge xitaben: «puxadin chiqquche oynap-külüp, yayriwélinglar, asmanning üsti bügün bizning!» dep ünlük warqiridi. Chérikler miltiqlirini tam tüwi we bulunglargha tirep qoyup, xatirjem chaza qurup olturushti. Ziyapet qizip ketti. Méhmanxana bilen hoylining péshaywanlirida «gawshing, gawshing» awazliri yangrap, dap-ghijek bilen éytiliwatqan qomul muqamlirini üzüp-üzüp qoyatti. Her bir yéngi sey, yéngi kawap tartilghanda, epchilgine kiyiniwalghan tagh yigitliri chériklerning piyalilirini sharapqa toldurup turatti. Chériklerning ara-arisigha kirip olturghan taghliqlar chériklerni hedep sharapqa teklip qilip, özlirimu az-paz ichishetti. Qarangghu chüshkenséri hoylining bir qanche yéride lawildap turghan gülxan otliri chériklerning haraq-sharaptin qizarghan yüzlirini téximu qizil qilip körsitetti. Daplar qattiq-qattiq urulup, meshrep bashlinish bilen qiz-yigitler ussulgha chüshüp, pütün hoyla ajayip janlinip ketti. Bezi chériklermu égiz-pes dessep, otturigha chüshti. Ularning arisida héliqi uyghur chérikmu bar idi. Shu arida jang jisa méhmanxanidin deldengship chiqqan péti «qiz qéni men bilen ussulgha chüshsun» dep warqiridi. Chala mest chérikler olturupla égiz-pes chawak chélip uning bu gipini qollap warqirashti. Bestlik kelgen ikki ayal jang jisaning yénigha kélip«biz taghliqlarning qa’idiside sultan yigit özi kirmise, qiz hojridin chiqmaydu» dégen gepni tongji arqiliq uninggha uqturdi we «yürsile, özilirini qizning yénigha biz bashlap kireyli» dep uni qoltuqidin élip qizning hujrisigha bashlidi. Jang jisa sham yorutulghan yasidaq hujrining bir chétidiki yaghach katta chirayliq kiyinip, nepis hal shayi romalgha pürkinip olturghan qizni körüsh bilen özini yoqatqan halda «ah perishtem, qéni yürüng» dep uning qolini tutqan haman, héliqi ikki ayal ishikni «taq» qilip yépiwetti. «qizning» küchlük qoli bilen urulghan xenjer jang jisaning yürikige qadaldi. Hoyla we méhmanxanida xizmet qilip yürgen ademler chériklerge yopurulup, hayt-huyt dégüche ishini tügetti. Menglik niyaz béshidiki hal shayi romal bilen yasalghan chéchini chörüwétip jang jisaning qan’gha milen’gen jesitini öydin sörep chiqiti. − yalghan chéchingni séliwalsang aynisa qizdinmu qélishmaydighan qiz bolghudeksen,− dep chaqchaq qildi uning tengtushliridin biri. − tola gep qilma, bolmisa, mawuni körüwatamsen,− dep qolidiki qanliq xenjerni uninggha tenglep küldi menglik niyaz. Sali dorgha chériklerning jesetlirini yighishturush ishini bir qisim kishilerge tapshurup qoyup, teyyar at we miltiqlargha ige bolghan bir top yigitlerni qasim palwan bilen birlikkte bashlap chériklerning gazarmisi terepke qarap mangdi. Ular gazarmigha yéqinlishay dégende, dap-sunaylar bilen «hay-hay öleng» éytip mesh’el yandurdi. Buni körgen gazarmidiki chérikler «qiz köchürüp kéliwatqanlar» dep oylashti-de, derwazini yoghan échip, ularni qarshi élishqa aldigha chiqti. Biraq tuyuqsiz yaqqan oq yamghuri ichide, közni yumup achqiche, pütün gazarma taghliqlarning qoligha ötti. Gazarmining arqa témidin chüshüp qéchip ketken ikki chérikni démigende, shopuldiki qiriq nechche chérikning hemmisi qirilip tügidi. Ularning qoralliri bilen gazarmidiki oq-dora, at-ularghlarning hemmisi taghliqlarning oljisi bolup qaldi. 2013-yili 1-ayning 8-küni men qomul sheherlik adem küchi bayliqi we ijtima’iy sughurta idarisining kadiri sadir abdulla bilen shopul qozghilingi toghriliq söhbetleshkinimde, u méni töwendikidek yéngi üchür bilen teminlidi: «bu yil men 50 yashqa kirdim, men sali dorghining ewrisi bolimen. Men bir qiétim shopulgha barghinimda seden sali kichik bowamdin 1931-yilidiki shopul qozghilingining sewebi we jeryanini sorighanidim. U birdem oylan’ghandin kéyin, bu ishlarning yüz berginige 60 yildin ashti. Eyni waqitta men töt yashta bolghachqa bu ishlarning tepsilatini bilmeyttim. Kéyin anam niyazxan, acham aysixan we küyö akam shah niyaz shériplar bizge qozghilangning jeryanini sözlep bergen. Qozghilang partlashning aldida aysixan acham bilen shah niyaz akamning toyini qilishqa pütüshüp, ularning kichik chéyini ichküzüp bolghaniken. Aridin uzun ötmey, ilgiri metbu’atlarda bayan qilin’ghandek, shopulgha yéqin yerde turushluq qarawulxanining bashliqi jang goxu (jang lyenjang depmu atilidu) dégen mutehem hökümet ishi bilen öyimizge kélip achamni körüp közi qizirip, dadamgha ‹manga qizingni xotunluqqa bérisen› dep telep qoyghandin kéyin, dadam jang goxuning telipini ret qilghaniken. Biraq u yolsizliq qilip yene telep qoyuptu. Dadam uning telipini qayta-qayta ret qilghan bolsimu, u jahilliq qilip bolmighandin kéyin, dadam yurt chongliri bilen meslihetliship, puxta teyyarliq qilip, jang goxuning telipige yalghandin moqul bolup, bu ishni köp ademge bildürmey, cheklik adem qatnashqan ‹toy› murasimi ötküzüptu. ‹toy›gha erler köp, ayallar az qatnashqaniken. Toygha qatnashqanliki kishilerning hemmisining wezipisi bar bolup, meslihet bilen hojrida achamning ornida shah niyaz akam ayalche yasinip jang goxuning kélishini saqlap olturuptu. Matériyallarda bayan qilin’ghandek jang goxu eskerlirini bashlap öyimizge kélip, aldi bilen tamaq yep méhman bolup, arqidin haraqni bolushiche ichip, xoshalliqida qin-qinigha patmay hojrigha kirip shah niyaz akamning qolini tutushigha, yoghan bestlik kelgen shah niyaz akam qoynidiki xenjerni chiqirip ‹mana sanga béridighan qiz› dep xenjerni bar küchi bilen jang goxuning yürükige urghan iken. Jang goxu ‹wayjan› déyishkimu ülgürelmey jehennemge seper qiliptu. Merhum abduréhim ötkür ependining «oyghan’ghan zémin» (1-qisim) romanidiki weqilikler aysixan acham, shah niyaz akamlarning bayanliri bilen asasen oxshash. Chünki ötkür ependi shopulgha chiqqan yillar (1970-yillarning axiri we 1980-yillarning bashliri) da aysixan acham, hapiz akam, leylixan acham, göherxan acham we ibrahim kösö akamlardin bashqa yene shopul qozghilingigha qatnashqan we ashu weqeliklerni öz közi bilen körgen kishilerdin xéli köpliri hayat idi. Shunga ötkür ependining tarixi romani eyni waqittiki hayat shahitlar teminligen tunji matériyallargha asasen yézilghan. Ötkür ependi qérindashlarning telipi boyiche, romanda dadam bilen anamning öz ismini eynen tilgha alghan bolsimu, achamning ismini ‹ayinsa›, shah niyaz küyö akamning ismini ‹menglik niyaz› dep özgertip, uni tuqsun pugen kökrikige xenjer urup öltürüwetken dep özgertip yazghan. Emeliyette shah niyaz akam 1981-yili shopulda öz ejili bilen wapat boldi. Shah niyaz akam we qérindashlarning jang goxuni öltürgenlikini sir tutushi, ular kéyinki künlerde özlirining béshigha kütülmigen bala-qazalarning kélishidin ensirep, heqiqiy weqeni bir ömür sir tutqan. Eger jang goxuni shah niyaz akam öltürgenliki sir tutulmay shu yillardila ashkarilan’ghan bolsa, ‹medeniyet zor inqilabi›yüz bergen apetlik yillarda shah niyaz akam we qérindashlarning yaman künlirge qélishimiz turghan gep» dep sözini ayaqlashturdi. Hazir jem’iyette «jang goxu qéchip ketken» dégüchiler, bolupmu shopulluqlar ichide jang goxu qéchip kétip, kéyin sali dorghini shexsen özi soraq qilip: «sali sen axir méning qolomgha chüshüp qélishingni oylap baqtingmu?» dep sali dorghining térisini tetür soyup öltürüwetken» dégendek gep-sözlerni qilishmaqta. 2014-yili 4-ayning 6-küni (yekshenbe) qomul wilayetlik ottura xelq sot mehkimisining pénsi’unéri joja sali, wilayetlik til-yéziq, qedimiy eserler ishjanisining kadiri mujubul raxman, ürümchi tömüryol idarissi qomul parawuz ustikisining xizmetchi tahir shakirlar bilen bille töge qotunidiki shopul iqtisadiy tereqqiyat rayonida olturushluq 96 yashliq asip memetniyazni ziyaret qilip barghinimizda, shu yerde olturushluq kishilermu yuqiriqidek gep-sözlerni qilishti. Biz bilen uzun yil emgek terbiyeside bille bolghan, shéng shisey dewride saqchi bashqarmsining terjimani we katipi bolup ishligen shi yüenpu (shibe) ning xojiniyaz hajimning qolgha élinishi, soraq jeryani we mexpiy sotning höküm chiqirish ehwali qatarliq ishlar toghrisida sözlep bergen we mexpiy sot heqqide yazghan eslimiside xojiniyaz hajim qatarliq 108 ademning boghup öltürülgenliki bayan qilin’ghan. Bularning arisida qomul déhqanlar qozghilingining bashlamchiliridin sali dorgha, gosul, baqi niyaz haji qatarliqlar bolghan». Yuqiriqi melumatlardin biz sali dorghining xojiniyaz hajilar bilen bir qatarda öltürülgenliki melum. Shah niyaz shéripning xenjer bilen jang goxuni jehennemge yolgha salghanliqimu éniq tursa, jang goxu qandaq qilip ürümchide sali dorghini soraq qilsun? Emeliyette, 1937-yili 10-ayda sali dorgha aqsu wilayetlik saqchi idarisining bashliqi isma’il teripidin qolgha élinip, deslep aqsu, kéyin ürümchi türmisige qamilip, simiyonof, yaqup we hashim haji qatarliq jallatlar teripidin soraq qilinip, xojiniyaz hajilar bilen bir qatarda öltürülgen. Heqiqiy ehwal shundaq bolghaniken, shah niyaz shérip jehennemge yolgha salghan jang goxu sali dorghini soraq qilip öltürgen déyilgen gep-sözlerning yéterlik asasiy yoq. bezi matériyallarda «sali bosuq» depmu atalghan, 1984-yili aysixan qomul wilayitidin shopulgha xizmet tekshürüp chiqqan fen chéngchüy qatarliq kadirlargha dadisining ismini «sali memetniyaz» dep éytip bergen. Buni yenimu inchike tekshürüshke toghra kélidu. aysixan sali (sali dorghining chong qizi), 1985-yili 4-ayning 5-küni (jüme) 76 yéshida qomul shehirining tashwéliq yézisi shopul kentide wapat bolghan. shah niyaz shérip (aysixan salining yoldishi), 1981-yili 7-ayning 8-küni (charshenbe) 76 yéshida shopul kentide wapat bolghan. seydulla seypullayof, 2002-yili 9-ayning 4-küni (charshenbe) 85 yéshida ürmchide wapat bolghan. maysixan sali (sali dorghining 2-qizi), 2006-yili 5-ayning 10-küni (charshenbe) 95 yéshida qomul shehrining tashwéliq yézisi xotuntam kentide wapat bolghan. göherxan sali (sali dorghining 4-qizi), 2004-yili 1-ayning 4-küni (yekshenbe) 78 yéshida shopul kentide wapat bolghan. ibrahim kösö (göherxan salining yoldishi), 2006-yili 12-ayning 25-küni (düshenbe) 92 yéshida shopul kentide wapat bolghan. seden sali (sali dorghining kichik oghli), 1999-yili 2-ayning 3-küni (charshenbe) 72 yéshida shopul kentide wapat bolghan. hapiz sali (sali dorghining chong oghli), 1998-yili 8-ayda 86 yéshida shopul kentide wapat bolghan. leylixan sali (sali dorghining 3-qizi), 1997-yili 8-ayda 77 yéshida shopul kentide wapat bolghan. niyazxan (sali dorghining ayali), 1963-yili 73 yéshida shopul kentide wapat bolghan.